Taumarunui is a small rural service town situated in the centre of the King Country. It is about 40 minutes drive from the summer and winter playgrounds of New Zealand’s North Island; Lake Taupo – famous for its trout fishing, and Mount Ruapehu’s Whakapapa and Turoa ski fields. It is also gateway to the Whanganui National Park. Increasingly the town plays host to visitors enjoying the boom in tourism operations. Taumarunui’s golf course, ‘Tarrangower’, dates back to the early 1920s and has developed into a very attractive all weather course featuring 18 holes of undulating fairways of park like appearance. Each hole represents a different challenge with the tree lined fairways leading to well guarded target greens. The trees in this part of the world grow tall and straight, attesting the free draining soils and the lowest wind flow in New Zealand. The huge redwoods watching over the 18th tee are only 60 years old and bear testimony to the district’s moderate climate. One of the many feature holes on Tarrangower would have to be the Wattles – the men’s No.1 stroke hole 14th. At 387 metres it is sneakily long. One tees off through a 25 metre gap between a stand of magnificent oaks situated some 50 metres from the tee. The fairway is undulating and tree lined, with the target green guarded on the left by greenside rough and on the right by a hillock that is likely to take a ball away from its target. 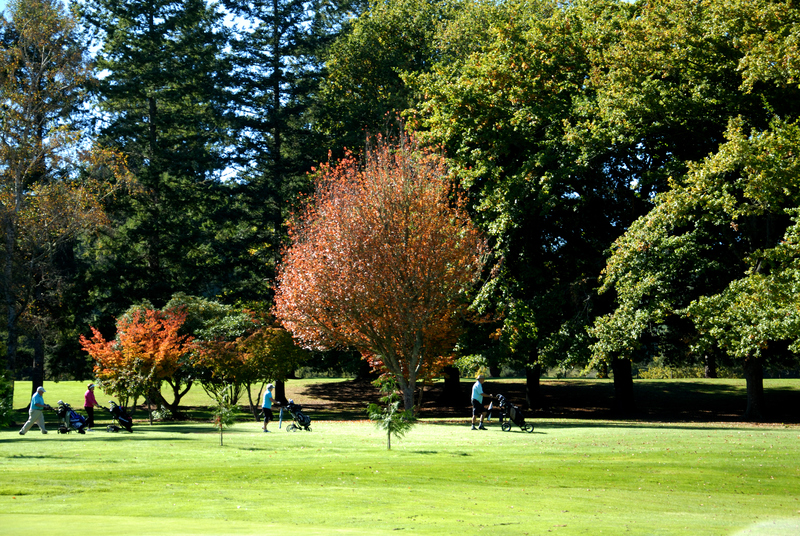 So many visitors comment that playing Taumarunui has been on their ‘must play’ list – join us for a round and find out why.